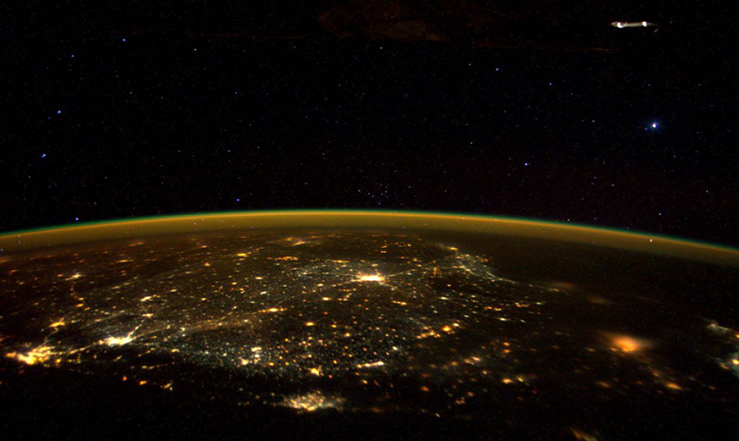 NASA Astronaut Scott Kelly Tweets The Stunning REAL Pic From Space On Diwali Night And It’s A Feast To Watch! 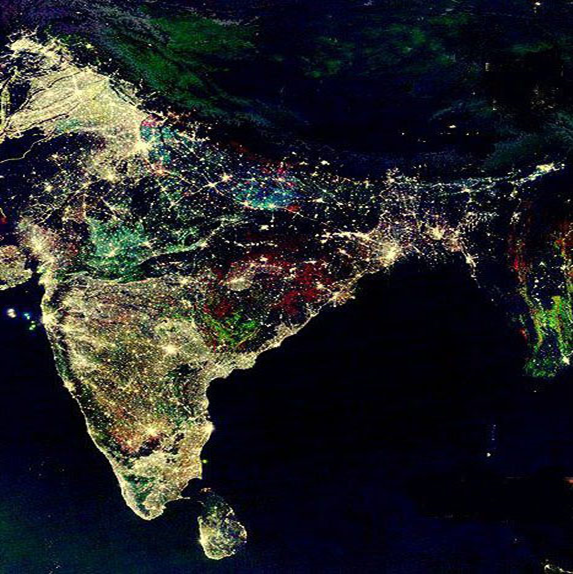 On every year’s Diwali., a fake image gets circulated with the title ‘NASA clicked a picture of India on Diwali night’. A huge number of people share the same old picture on their Whatsapp and Facebook which is obviously “fake“. Even for this Diwali, the same image was shared on social media despite it’s so “FAKE”. 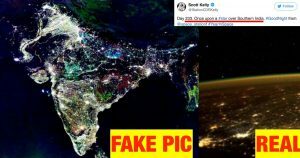 However, the image is the fake one and here is the real which is shared by Astronaut Scott Kelly. 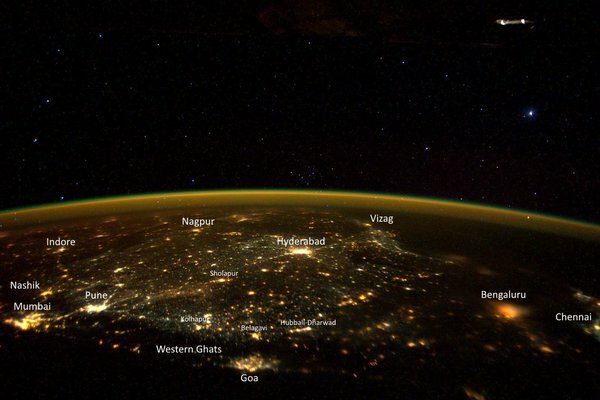 Astronaut Scott Kelly, the commander of International Space Station’s year-long space mission shared the spectacular photo of South India on a single night during the Diwali festival. He shared the image through his twitter and the image looks great. Here are the places which are pointed out on the image!